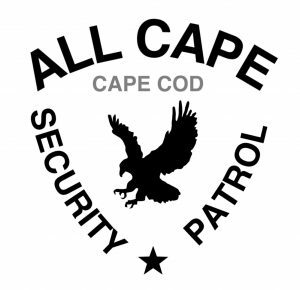 There are many different private security services for Cape Cod residents and businesses available from All Cape Security Patrol. Below is a list of security services with detailed descriptions of each service, along with a service pricing/rate table. Mobile Patrol service is a vehicle-based roving security service that shuttles between different properties and makes rounds at each individual property. This is repeated however many times the client wishes per day/night. The security vehicle will patrol your property throughout the day/night. The roving security patrol offers a high security presence at substantially less cost than a full time on-site security guard. Private mobile patrol response services are also available for 24/7 alarm response, or emergency situations, as well as property condition and wellness checks. All Cape Security Patrol’s Cape Cod Home Watch service is a comprehensive home watch and property watch security service that provides clients with the peace of mind in knowing that a MA State Police Licensed, Bonded, Insured, Professional security agent will be available 24 hours a day, 7 days a week to check on their home. Our security personnel are available to periodically inspect unattended homes for signs of environmental, criminal or vandal activity and to respond to any threat to the safety and security of that property. Our Cape Cod Property Check service (external, or outside only, no key, house/property checks) for assessments of potential problems, reported issues, storm damage, or for verification of completion/progress for services contracted with third-parties. For the Cape Cod homeowner’s peace of mind. Standard property checks are conducted by security patrol units and are reported via email. Includes digital images of the property. 24/7 emergency response is also available. Going away for a week, two weeks, or all winter? Hire All Cape Security Patrol to watch your home while you are away on your vacation. Relax and enjoy your vacation while a licensed, bonded and insured professional security patrol unit keeps an eye on your property by performing random security checks of your home for signs of intrusion, vandalism, break-ins and storm damage. Let us be your professional and dependable keyholder while you’re away from your Cape Cod home. We can be your local representative to meet and grant access to service providers and/or guests at your home on your behalf. 24/7 Keyholder Alarm Response service for private homes and businesses. If a Home Watch, Security Patrol or Alarm Response client’s home security or alarm system should activate, for any reason, a security patrol unit will respond as quickly as possible. As your authorized licensed keyholder, our security personnel are able to investigate the real cause for the alarm, allow access to emergency personnel and take reasonable and prudent action to resolve any problems at the property on your behalf. Want to see who is coming and going from your property while you’re not there? There are many different high visibility and covert electronic property surveillance solutions available for residential and commercial customers. Short term and long term watch guard services for commercial and residential clients. These licensed and bonded security personnel will keep watch over your business or residence, patrol perimeters, provide access control for entrances and cover other pre-determined areas for any sign of trouble. Here is a brief overview of the base rates for some of the security patrol and home watch services we provide. For a precise quote on your specific security needs, please call (774) 383-2030 or email us. * Prices shown in this chart are base prices for some of the services we offer. The location and size of the property will determine exact pricing. Discount rates available for higher frequency patrols/property checks and checks/patrols of multiple properties in the same immediate area. 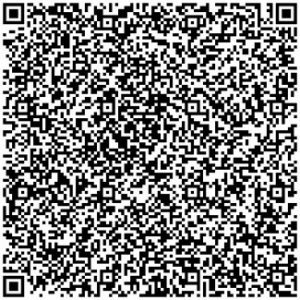 Please call (774) 383-2030 or email us for a custom quote on your specific security needs.